post as many pics as you can new or old ! i think i found new pics??? From the first announcement that Vanessa Carlton would open for the Goo Goo Dolls, question marks were raised faster than light bulbs over Albert Einstein’s head. Although both have a pop quality that gets them played on Top 40 radio, where the Goo Goo Dolls rocks with basic guitar riffs and drum beats, Carlton keys a piano backed by stringed instruments. But don’t be mistaken, on songs like “Unsung” and “Prince” Carlton shows she has some rock and roll in her, but that is more the exception not the rule. So, fast forward to the day of the show, and Carlton calmly strolls out on a sun-squinting bright stage and seats herself behind a baby grand piano and begins to play soft chords across the ebonies and ivories. All the secretaries and salesmen making in the three-digit figures are at Polaris Amphitheater to rock, at least what they consider rock, and Carlton blasts them in the face with harmonies, melodies and a sound totally unexpected. Most familiar with her hit single “A Thousand Miles” were probably expecting this young girl to come on stage and act pretty and sing and dance and try to become the next Britney Spears. But what they got was a talented teenager who plays her music first and acts the role of a pretty, teen star second. It was a shame Carlton was playing on a stage in front of thousands, because her talents, and believe me, she is filled with talent, is much more suited for a music hall where the piano sounds can reflect off the ceiling and fill the ears with the wondrous sound only that instrument can make. It was also a shame that Carlton was not able to bring the backing strings with her, as the fill they provide on Carlton’s Be Not Nobody was missed. But Carlton played well beyond her years, and in fact played her first two songs solo without the help of her backing band. Carlton only had 25 minutes to shine in the already sun-filled sky. But shine she did. She displayed a voice that sounded as refreshing live as it did produced in a studio. In fact, the rawness, intensity and spontaneity of her live showed overshadows her recording. Whether it was playing her hits or playing a song for the first time, which she even admitted she wasn’t sure what the heck the song was about, Carlton proved to Columbus, Ohio that she belonged on stage. But let’s hope that next time Carlton hits the road, she is able to play a venue that suits her sound and allows her to play a set to showcase all her talents. So, sure, the question marks were still there after the show, but the one question answered with a resounding “Yes” was whether or not Carlton was as good live as her CD sounds. can any one figure this page out? 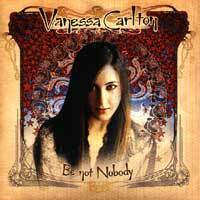 Should the websites of Vanessa Carlton be once again not attainable: (, recommend we to go with WinMX on the search.. The pattern valid frame (here already once a MP3) the piano note with text acquired Henry Bergert straight (06.07.02) for unsern correspondence course chirped. Old master Henry Bergert (16) shows the photo in a piano presentation in the Lily brown waiter training (30.Mai 2002). It is in the 10b and we know it yet of the Musikabend 2001 where it worked also the wing. It played this time a selection of Preludes of F. Chopin. Henry Bergert prefers wing of the firms Steinway & Sons, Grotrian stone way, Bechstein and Yamaha. In Mountain-Bikes, it recommends the firm Gary Fisher. Favorite composers: Sergej Rachmaninow, Frederic Chopin, Johann Sebastian stream, Vanessa Carlton, Destiny's it Child, Elton John. One encounters it occasionally in the "route 66" (Parisian street) and naturally in the falcon grill at the Falkenseeer avenue in Spandau, where he the calories consumed in the Volleyball-training by an until three "falcon-Döner" replaces. further photo of Henry. Anm. : the mp3-Datei was generated out of the midi-filed programmed by Henry Bergert. looks like a search engine... :? does anyone know of a Vanessa picture where she has an expression like she's asking a question, or she's wondering about something? i need a pic like this for a sig i want to do, but i can't think of a pic where her exrpression looks like this.